Old items in your kitchen that you may want to replace do not need to be thrown out in the trash. We are talking about vintage pans and utensils that can be used for making custom art or something practical. The ways to repurpose old kitchen items depends on what you have available. Many items can be reused in many fun and interesting ways. 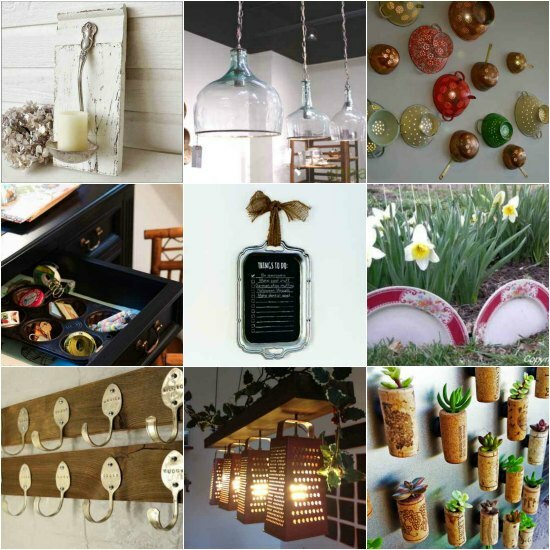 Just look at some of the ways to repurpose old kitchen items you may have or can find at garage sales and thrift stores. This includes items like ladles, spoons, and cheese graters. 1. Make some custom wall lights or sconces. 2. 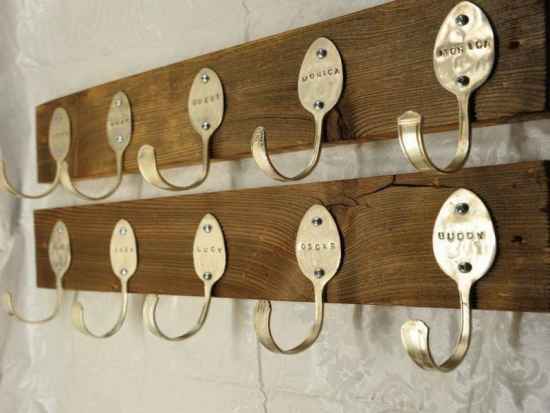 Use some spoons as custom hooks for hats or coats. 3. 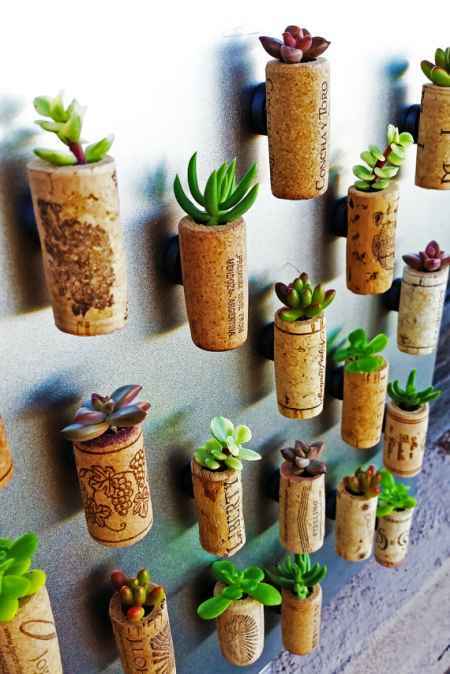 Wine corks are perfect to display succulents. 4. 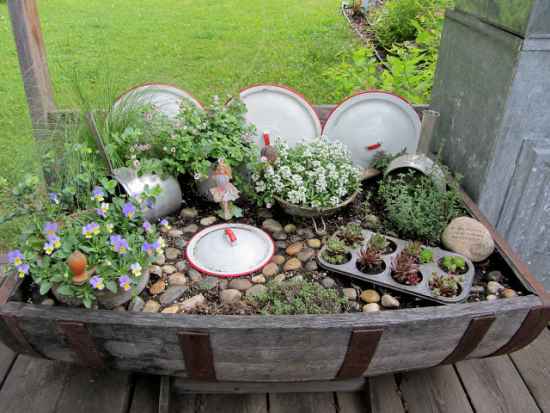 Make a custom garden planter or fairy garden. 5. A ladle can be used to make custom candle holders. 6. 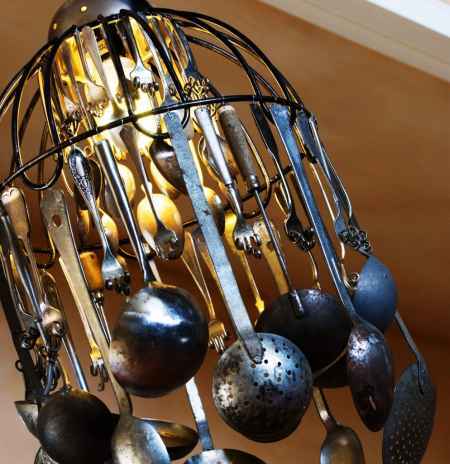 How about a kitchen utensil chandelier? 7. 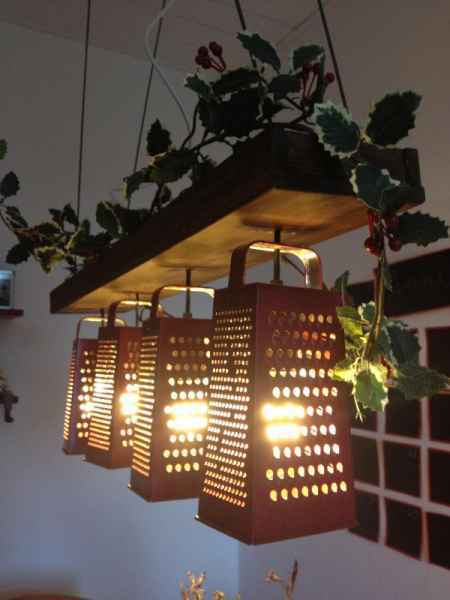 Some old cheese graters can be repurposed as lamp shades. 8. 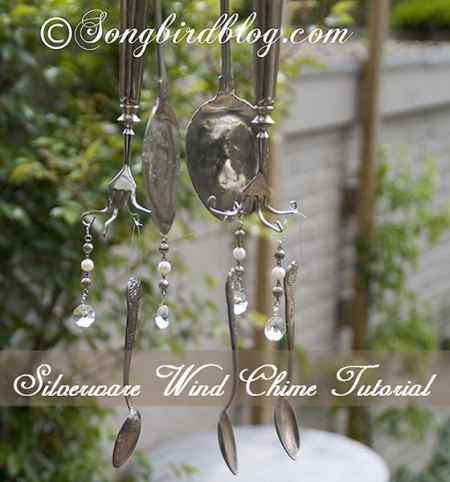 Make a custom wind chime by using pieces of silverware. 9. 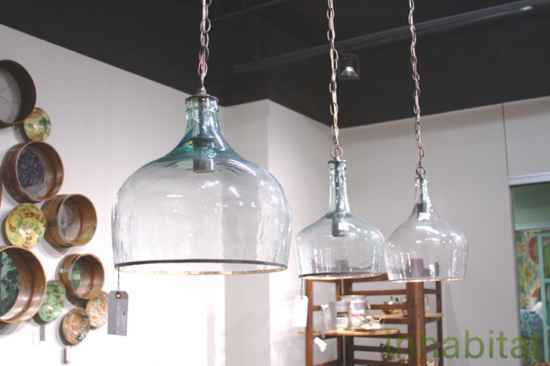 A set of glasses can be used to make DIY pendant lights. 10. 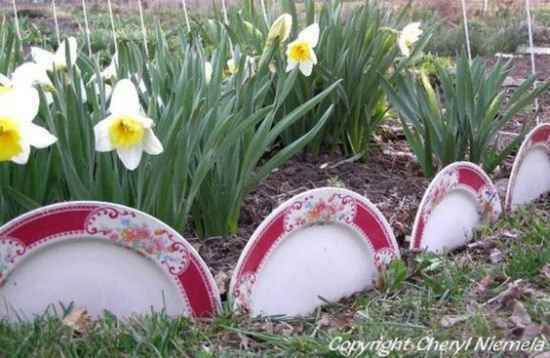 Garden dishes can be used as boarders or edging in a garden. 11. 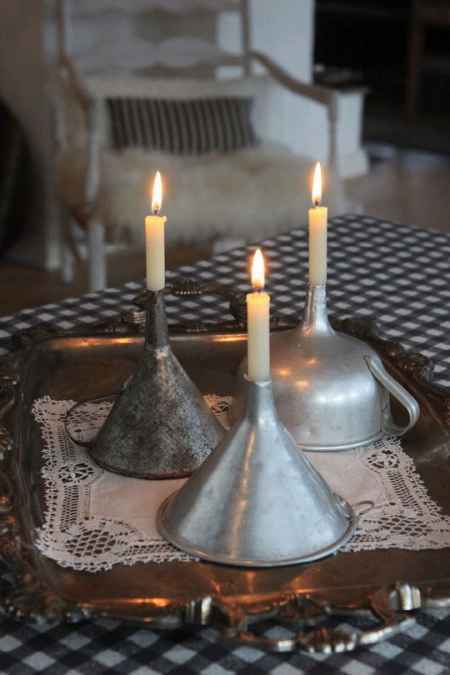 Make custom candle holders from some old kitchen funnels. 12. 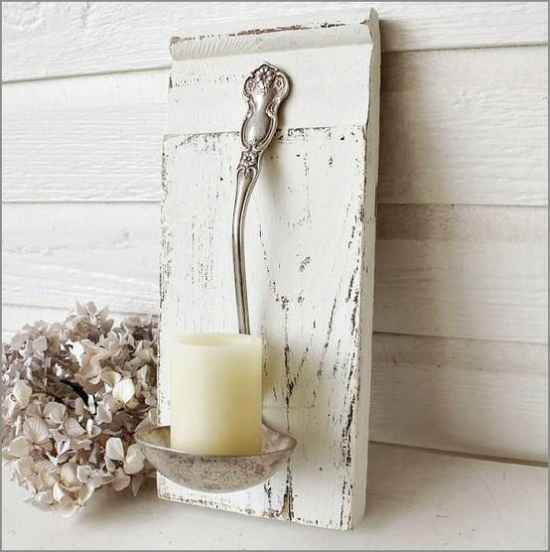 Are you still looking for ways to repurpose old kitchen items? 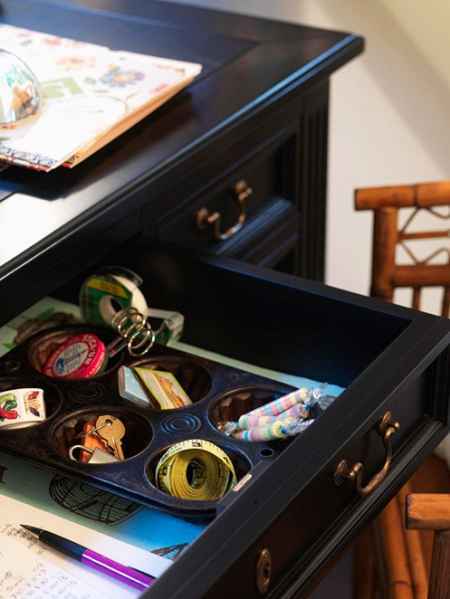 A muffin tin is perfect to use for small item organization. 13. 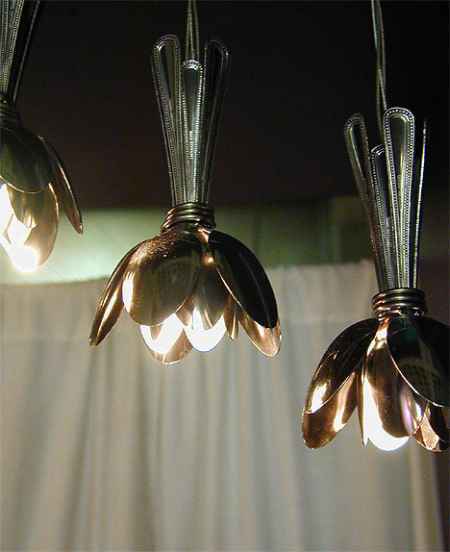 Create custom lights from some spoons and forks. 14. 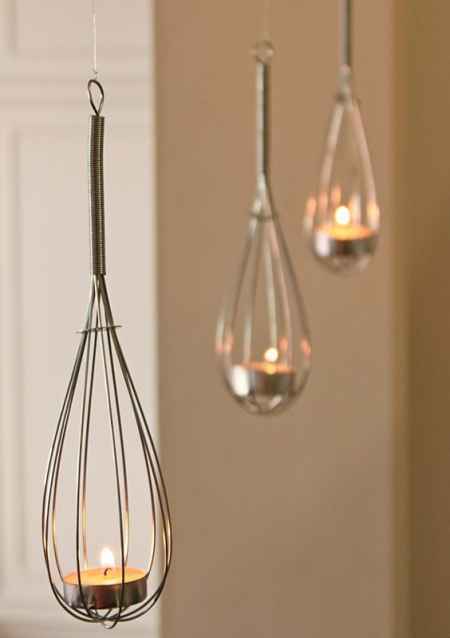 Make a teacup candle holder by repurposing whisks from your kitchen. 15. 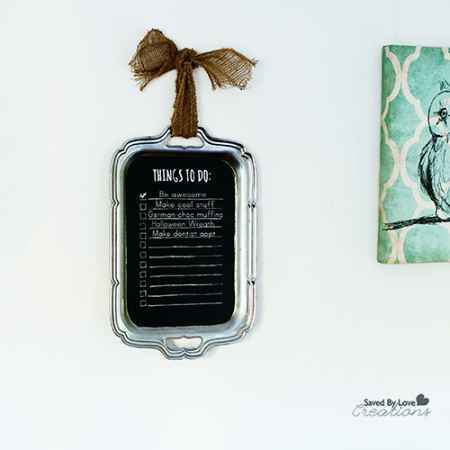 Use a serving tray to make a chalkboard to do list. 16. 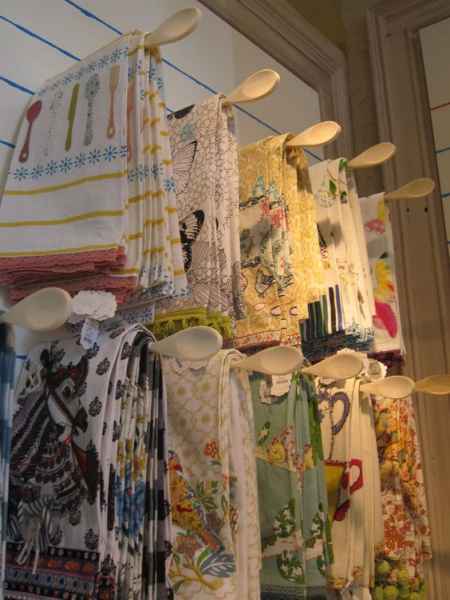 Wooden spoons can be used to make towel bars. 17. 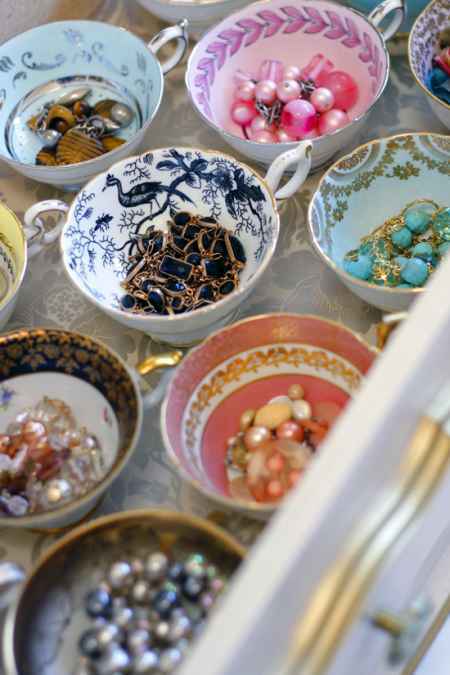 Teacups can be used to organize jewelry. 18. 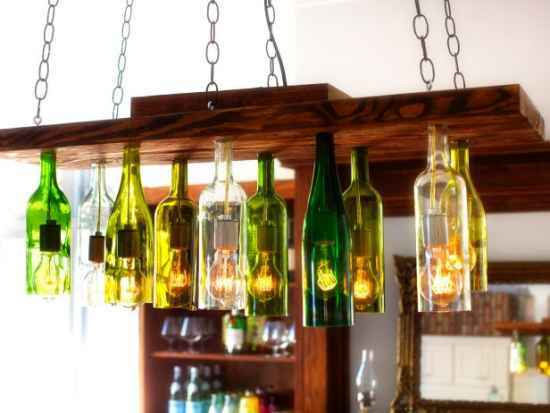 Make a custom chandelier from used wine bottles. 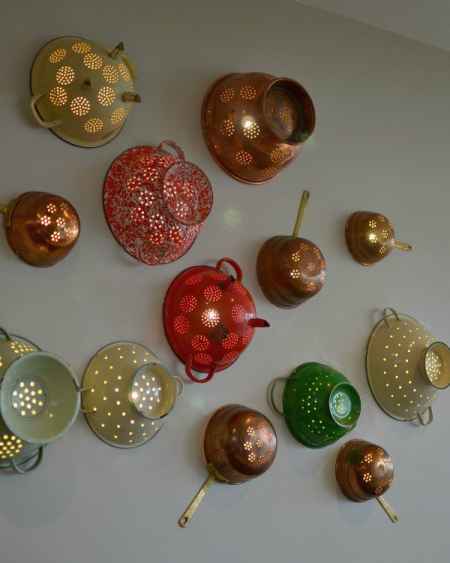 Do you have your own ways to repurpose old kitchen items at home. Show us what you have done by posting on our Facebook page.